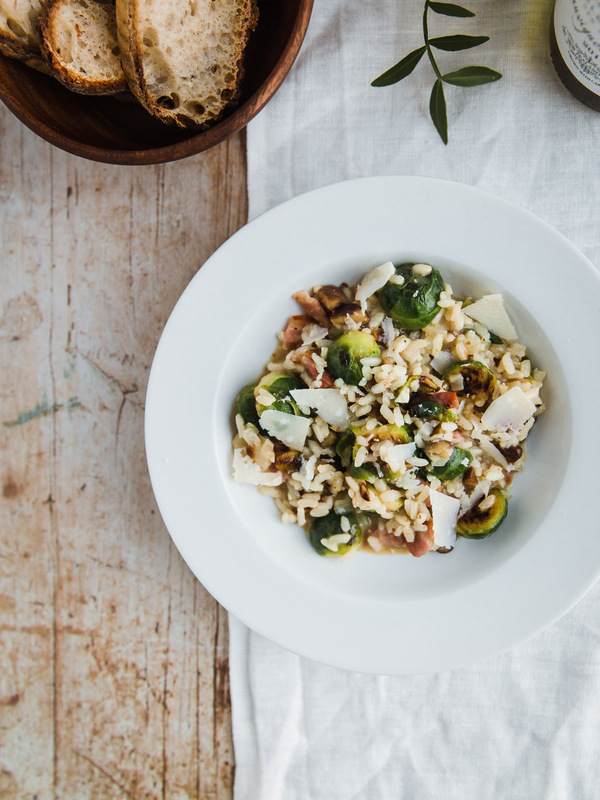 Brussel sprout lovers rejoice! And well, haters, best to look away now. I posted this sprout photo on my Instagram a couple of weeks ago. Never have I encountered such a divided audience! People really do love or HATE them. The comments kept me entertained all evening, especially the ones expressing dread of these tiny little green things appearing on their plates at Christmas. Some people seem to eat one for the sake of Christmas, which made me laugh. Apparently, it’s in our genetics. Ottolenghi delves into it more on The Guardian, where yes, you’ll find he does have a sprout risotto too. I didn’t take inspiration from him but it was a comfort to find the recipe during some late night Googling of ‘sprout risotto’, just to check I hadn’t completely lost my marbles. If you’re still with me, thank you. Am I rightfully assuming you’re excited by the season of sprouts too? They’re not just for Christmas either, I enjoy them right up until March. Never will they be a boiled mush though (probably what scars people for life in the first place). 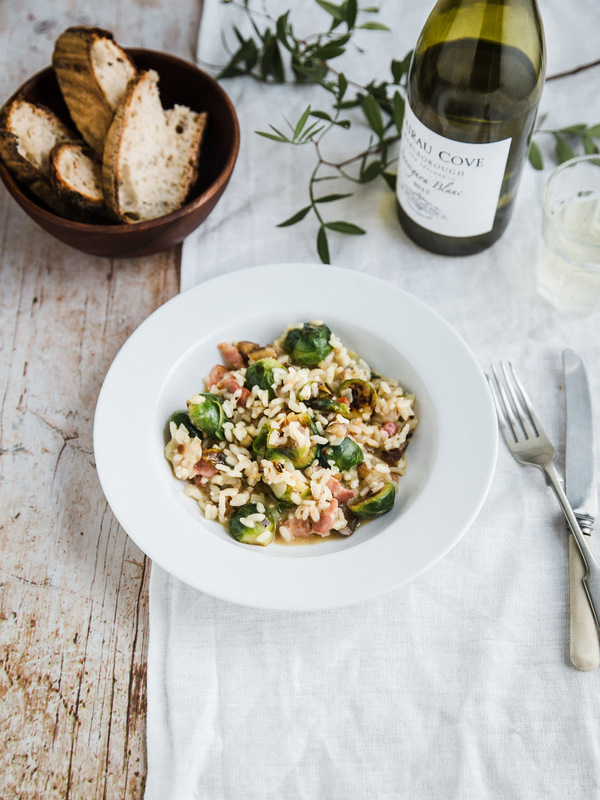 The risotto works so well because of the added bacon and chestnuts, salty and sweet both balance the bitterness of the sprouts. As long as they are a vivid green in colour you should be far away from any danger of too much bitterness anyway. Enjoy! Have all of your ingredients measured, chopped and ready to go. 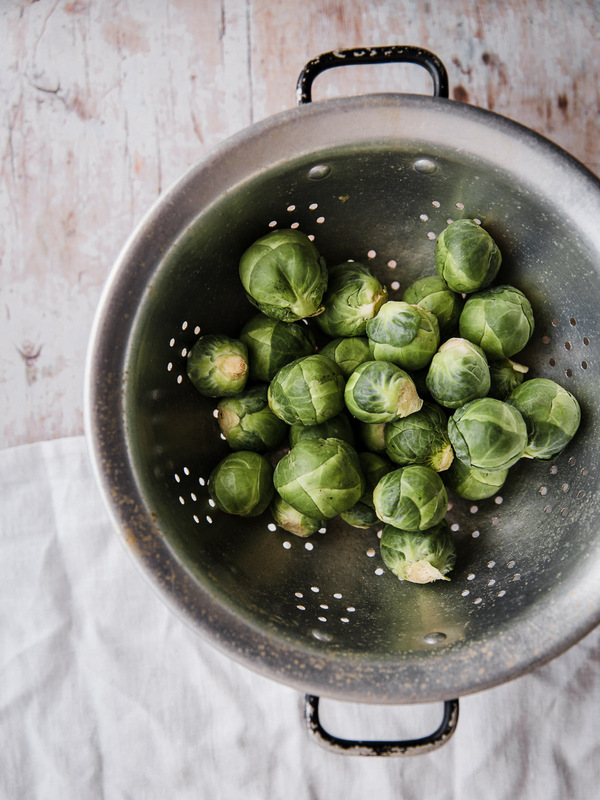 Blanch the sprouts in a pan of boiling water for 3 - 4 minutes, drain and cool under cold running water and keep to one side. Melt a good knob of butter in a pan over a medium heat, turn up the heat a little so the butter is foaming. Add the bacon and chestnuts and fry until crisp, remove to a plate with a slotted spoon. 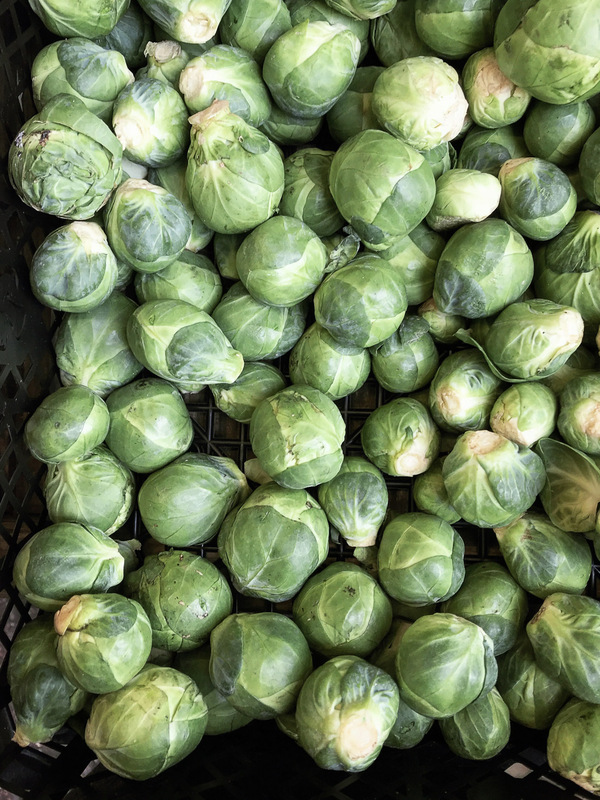 Add the sprouts to the same pan with more butter and fry, tossing frequently for 6 - 8 minutes until piping hot, just cooked and still a vivid green. Remove to the same plate with chestnuts and bacon. Keep the pan over a medium heat. Begin the risotto base in the same pan. Add a drizzle of oil and another knob of butter, fry the onion and garlic for about 5 minutes until softened. Tip the rice into the pan and cook for 1 minute. Pour in the wine and let it bubble until the alcohol has evaporated. Add the stock to the pan, one ladleful at a time, stirring slowly and waiting for most of the stock to be absorbed before adding the next ladleful. Continue until all the stock has been added, should take about 20 minutes and the risotto should be creamy and soupy once cooked. Add the sprouts, chestnuts and bacon back to the pan and stir to heat through. Stir in the grated parmesan and season well. Serve with extra parmesan shavings, if you like.